The best power tools come from USA, Germany, and Japan – that’s just the way it is. And when it comes to Japan, the country’s most well-known manufacturers are Makita and Hitachi, famous for the durability, reliability, and efficiency of their tools. This time, we’ve decided to take a look at one Hitachi’s most popular cordless hammer drills – the DV18DSDLP4. There are a plethora of features that make this unit a tempting offer – such as its powerful, industrial-grade engine, a 22-position clutch, a durable aluminum case, or the ratcheting keyless chuck. 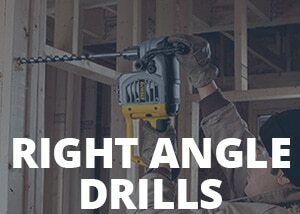 The combination of these and other features turn this drill into something that deserves a detailed review. And that’s exactly what it’s going to get – we’re about to take a closer look at this model and examine its design, power, ease of operation, comfort, and all other additional characteristics. If you’re considering purchasing this device, read on! Hitachi DV18DSDLP4 is capable of providing a substantial amount of power for any application you decide to use it for. The first thing to notice about it is its compact design and the low weight, which makes the device highly maneuverable and very portable. It also has a convenient metal hook that allows the user to keep the tool close at hand. The unit’s motor has the maximum speed of 1,800 RPM and can produce over 800 in-lbs of torque. When we combine this with a 22-position clutch and the single-sleeve 1/2″ ratcheting chuck, we get a winner – it’s no wonder that this model is so highly praised by its users. Other advantages include built-in LED light, a speed switch with four different speed settings, and the spectacular lifetime warranty. Sporting that well-known green & black look of all Hitachi power tools, the DV18DSDLP4 has been designed to provide the user with the right amount of comfort while he’s drilling/hammering. There are two handles here – the lower one, which is rubberized and has an ergonomic shape, and the side handle, which can be rotated around the device and offers further control and support. The metal belt hook also deserves to be mentioned – it allows the user to carry the device on his belt. With of weight of only 4.3 pounds, the DV18DSDLP4 is lightweight and doesn’t cause fatigue during extended use. For durability and strength, Hitachi decided to use an aluminum housing, which looks and feels very sturdy and robust. Mechanical damage is not something to worry about with this model, and that’s always a big plus in our book. The DV18DSDLP4 sports one of the most powerful motors in this price category – it’s an industrial-grade 2-piece motor made out of rare earth magnets that’s capable of pushing out over 800 in-lbs of torque. To make things even more impressive, Hitachi decided to supply the unit with the 4-gear variable speed which is easily controlled via the unit’s speed switch. This makes the unit highly versatile and suitable for a number of applications. The motor is powering a 1/2″ metal keyless chuck, which sports carbide jaws inserts whose job is to provide quick bit swap-outs and a strong bit grip. Other features worth mentioning are the 22-position clutch and the integrated LED light which increases visibility in dimly-lit areas. Unfortunately, the deal doesn’t include a battery – it is sold separately for around $40. It’s a compact 18V Lithium-Ion battery that provides enough juice for the prolonged drilling/hammering sessions. While here, we should also mention that the unit comes with a lifetime (serviceable life of the drill) warranty, which is one of the most impressive things about the whole deal. Both the design and the power of this cordless hammer drill were quite impressive to us. Hitachi made a right decision by using the aluminum housing – it makes the device very durable, so you won’t have to worry about damage while working in harsh conditions. Furthermore, we were quite pleased to see the inclusion of a side-handle, as it improves stability and accuracy during the drilling and hammering. The motor of this unit is not only powerful but also allows great flexibility when it comes to speed. The presence of 4 different speed settings deserves special praise, as it enables the user to adjust the drilling speed according to the task at hand. The model’s chuck should also be commended, as well as the LED light and the fantastic warranty deal. The fact that this drill comes without any accessories is a shame, especially when we take its excellent design and high performance into consideration. We can do without a tool case, but making us buy the batteries and the charger separately is not something we approve of. Due to the fact that it can deliver over 800 in-lbs of torque, the users are calling Hitachi DV18DSDLP4 a “monster,” saying that it’s a real workhorse that completes every job quickly and with no hassle. They’re very pleased with the unit’s powerful engine that can be used in four different speed settings, as well as with the unit’s ergonomic handles and a great warranty deal. Their complaints are the same as ours – the lack of any accessories is quite disappointing. In conclusion, we think that Hitachi did a pretty good job with this hammer drill. Its main selling points are the powerful motor, the addition of a side handle, a high-quality chuck, and the lifetime warranty. Other features deserve praise, too, especially the four different speed settings and the LED light. All of this combined turns the DV18DSDLP4 into a very tempting offer for both hobbyists and professional contractors – the unit certainly deserves our sincere recommendation.